Shirley Temple Black, who lifted America's spirits as a bright-eyed, dimpled child movie star during the Great Depression and forged a second career as a U.S. diplomat, died late on Monday evening at the age of 85. Black, who lured millions to the movies in the 1930s, "peacefully passed away" at her Woodside, California, home from natural causes at 10:57 p.m. local time, surrounded by her family and caregivers, her family said in a statement on Tuesday. "We salute her for a life of remarkable achievements as an actor, as a diplomat, and most importantly as our beloved mother, grandmother, great-grandmother, and adored wife of fifty-five years," the statement said. 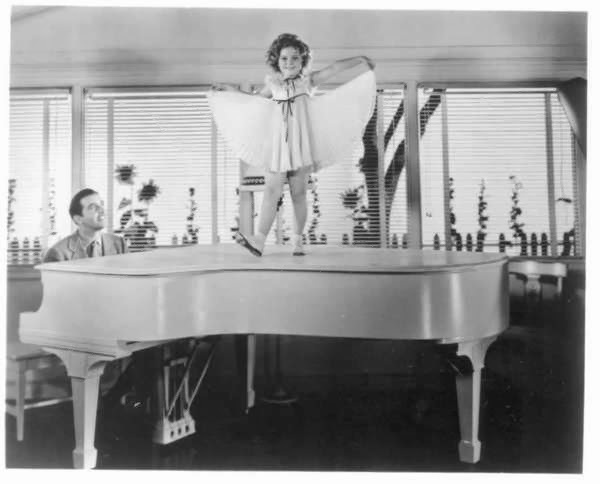 As actress Shirley Temple, she was precocious, bouncy and adorable with a head of curly hair, tap-dancing through songs like "Animal Crackers in My Soup." Shirley was 3 when her mother put her in dance school, where a talent scout spotted her and got her in "Baby Burlesk," a series of short movies with child actors spoofing adult movies. Movie studio executives took notice. In 1934 she appeared in the film "Stand Up and Cheer! ", and her song and dance number in "Baby Take a Bow" stole the show. Other movies in that year included "Little Miss Marker" and "Bright Eyes" - which featured "On the Good Ship Lollipop" - and in 1935 she received a special Oscar for her "outstanding contribution to screen entertainment." ing with big-name actors like Randolph Scott, Lionel Barrymore and Jimmy Durante. Her child career came to an end at age 12. She tried a few roles as a teenager - including opposite future President Ronald Reagan in "That Hagen Girl" - but retired from the screen in 1949 at age 21. The Screen Actors Guild gave her its 2005 Life Achievement Award. In her acceptance speech posted on the group's website, she said: "I have one piece of advice for those of you who want to receive the Lifetime Achievement Award: Start early!"